O naindia, M., Madariaga, I., Palacios, I., Arana, X. (coord.) 2015. Naturaleza y bienestar en Bizkaia. La Evaluación de los Servicios de los Ecosistemas; investigación aplicada a la gestión. Universidad del País vasco (UPV/EHU). Leioa, España. 130 pp. ISBN: 978-84-9082-179-4. The Biscay Millennium Ecosystem Assessment is pioneering the practical application of a conceptual and methodological framework of ecosystem services to participatory and integrated territorial management. So much so that, in international forums on this topic, the experiences of our Historical Territory have been recognized as an example to follow in the integration of society, science and management. 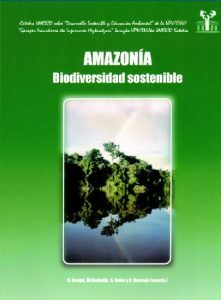 The results obtained from this local-regional scale assessment in this book suggest that this integrated and participatory approach is an innovative and useful tool that should be supported and developed in order to create significant changes towards a caring society and a more economically and environmentally sustainable territory. The current PRUG Urdaibai was approved by Decree 242/1993, on August 3, 1993, and provides in Article 9 revision ten years after its entry into force. Thus, in 2003 the PRUG was updated promptly, through Decree 27/2003 of February 11, PRUG modification of the Urdaibai estuary, which mainly includes the correction and updating mapping and modification of specific aspects of the text of the articles of PRUG. As part of this revision, between 2011 and 2012, a process of scientific and technical participation was made with the objective of developing the scientific and technical foundations of future PRUG from the contribution of experts in the various issues addressed in this document. Nekane Viota y Maider Maraña (coord.) 2011. Servicios de los ecosistemas y bienestar humano. La contribución de la Evaluación de los Ecosistemas del Milenio. Ed. UNESCO Etxea. This book contains seven articles of environmental experts with a common goal: to reveal the importance of ecosystem services for human well-being. This work aims to be an easy approach into the matter for citizens and policymakers. 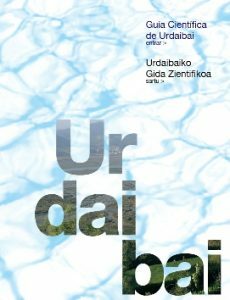 This guide presents 19 articles whose research focuses on the Urdaibai Biosphere Reserve. The articles are related to different topics such as ecosystem services, geology and hydrogeology, singular and cultural landscapes, animal, vegetal or fungal biodiversity, fishing, history, culture, basque, research, environmental education and cooperation or legal regulation. Hernando Bernal, Carlos Hugo Sierra, Miren Onaindia, Tirso A. González (Eds.) 2011. Bosques del mundo, cambio climático y amazonía. Universidad del País Vasco, Spain. ISBN: 978-84-615-6723-2. Bosques del mundo (World Forests) book contains a chapter to study the high potential that Basque forest socio-ecosystems have to maintain the ecosystem functions and services and, furthermore, to assist in climate change mitigation. This kind of ecosystems represent more than a half of the county, so it is important to encourage democratic and participatory processes in management, in order to guide the current decision-making to search for positive solutions for the future. Miren Onaindia, Arantza Ibabe, Vanesa Viña (Eds.) 2004. 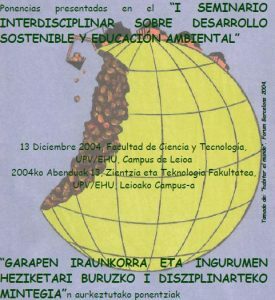 Publicación de ponencias presentadas en el “I Seminario Interdisciplinar sobre Desarrollo Sostenible y Educación Ambiental de la UPV/EHU”. Ed. 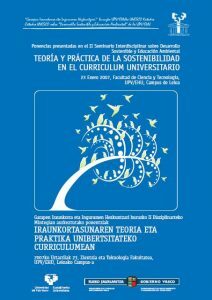 Servicio Editorial de la Universidad del País Vasco. ISBN: 84-8373-727-2. The aim of this report is to illustrate by means of a series of case studies the implementation of mapping and assessment of forest ecosystem services in different contexts and geographical levels. Methodological aspects, data issues, approaches, limitations, gaps and further steps for improvement are analysed for providing good practices and decision making guidance.The EU initiative on Mapping and Assessment of Ecosystems and their Services (MAES), with the support of all Member States, contributes to improve the knowledge on ecosystem services. MAES is one of the building-block initiatives supporting the EU Biodiversity Strategy to 2020. Ayestarán, I., Onaindia, M. (Eds.) 2013. 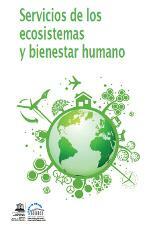 Sustainable Development, Ecological Complexity and Environmental Values. Current Research Series no. 10. Center for Basque Studies. University of Nevada, Reno, EEUU. ISBN: 978-1-935709-35-0. 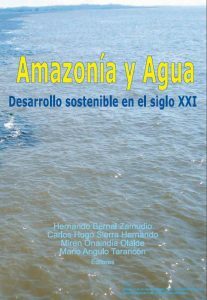 This book contributes to the expansion of the idea of sustainability by integrating different topics related to sustainable development analyzed from the economic, social and environmental point of view. Social sustainability depends on ecological sustainability, and vice versa, so if we continue to degrade the capacity of ecosystems to produce services, social welfare will be compromised. If there are no sustainable societies there will be no sustainable development. 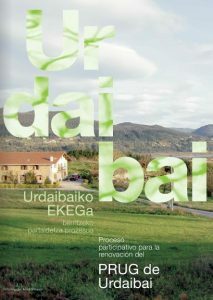 In this book, these global issues are treated in relation to a specific geographical context, the Basque Country.